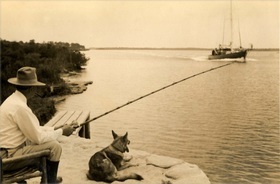 Long before Europeans reached what is now called Palm Coast, Florida, Native Americans came to hunt, fish and gather shellfish. The hill at the top of the Rose Garden is formed by a midden -- the mound of oyster shells and other discards left by generations of Native Americans. In 1818, Jose Mariano Hernandez, a St. Augustine native, bought and owned the property and named it "Bella Vista." He was a citizen of a Spanish colony owning land granted by Spain. When Florida became a U. S. territory, Hernandez swore allegiance to the new country and changed his name to Joseph Marion Hernandez. He became known as General Hernandez because, as Brigadier General, he organized and commanded militia before and during the Second Seminole War (1835 to 1842). He also served as the first Representative from the Territory of Florida to the U. S. Congress. In 1836, the Seminoles burned plantations along the Matanzas River and although Bella Vista was not destroyed, the plantation economy in Northeast Florida never fully recovered. In 1845, Hernandez's daughter Luisa married George Lawrence Washington of North Carolina who was a distant relative of George Washington. Long after Luisa died, George built a small beach house which he and his sons used for hunting and fishing and raising citrus. In 1888, George purchased the entire property from Luisa's sister and locals began calling the property "The Washington Place." Changing hands a few times, the land was finally sold to developers in 1923. Only the collapse of the 1920's Florida land boom kept the tract from sprouting a new subdivision which was to be called Hernandez Estates. In 1936 the land was purchased by Louise Powis Clark, a designer from New York. It was common during this time period for wealthy people from the north, like the Rockefellers, Fords, and DuPonts, to establish elaborate winter residences in Florida. It would become a winter retirement home for herself and her third husband, Owen D. Young. Mr. Young, an attorney, served as the Chief Executive Officer of the General Electric Company, and founded the Radio Corporation of America (RCA) as a subsidiary of G.E in 1919, serving as its chairman until 1929. An important diplomat for the United States in the rebuilding of Europe, he devised the "Young Plan" for the payment of German World War I reparations. In 1929 he was chosen to be the "Time" Magazine "Man of the Year." The Young's were responsible for the name, "Washington Oaks," as well as the design of the gardens and the house. The gardens combined native and exotic plantings including touches from the Orient where both had spent time. Gradually the Young's acquired the beach front property from neighbors. 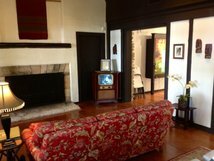 Throughout the 1940's and 50's, children and grandchildren of previous marriages enjoyed extended vacations at Washington Oaks and prominent visitors were entertained here as well. 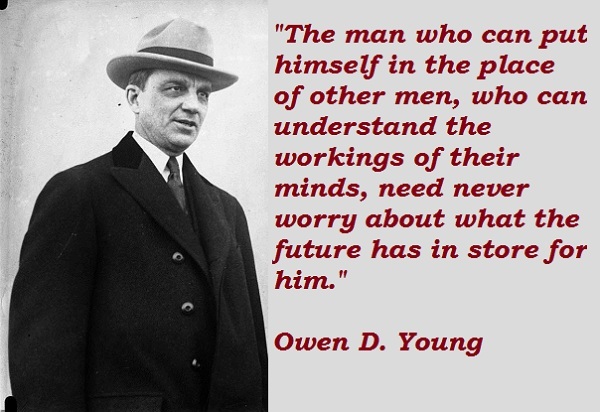 In 1962, Owen D. Young died. Shortly after his death, Mrs. Young donated most of Washington Oaks to the State of Florida, specifying that the gardens be "maintained in their present form" and expanded as funds became available. The Park was opened to the public on July 1, 1964. 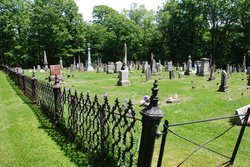 Van Hornesville, New York cemetery where Owen and Louise Young are buried.